What’s the meaning of a mother to you? Whether in the mind of a daughter or a son, a mother means someone who cares for you in her uterus for nine months and then takes you into the world to enjoy life. Mothers are life givers! Mother is a person who leads you through your babyhood and changes you from the soft and vulnerable individual to the strong, smart, kind and successful person. Being like a guardian angel, she always supports and guards you, in your good and bad times. Every time you need her, she’ll always be there for you to give any help. I remember that when I was a child and teenager, my mother was my best friend. We can talk for hours every day. We often went out together in the weekends. Since my mother had leaved me forever in 1999; I always memorize those times as one of most wonderful times in my life. A mother is a very important person in every one’s life. She is a person that deserves to obtain appreciation and affection. To convey gratitude to all moms in the whole world, every country has determined one special day in a year as a Mother’s Day. In this special day, all daughters and sons should attempt to make the day as an unforgettable and impressive one for their mothers. Your mother should treasure the special feeling of this day and the greatness of the feeling should be kept in her heart for a long time. What can you do to make the coming Mother’s day as a memorable time for your mother? For your information, the dates and months of Mother’s Day between countries are different. In the USA, Mother’s Day is celebrated in the second week of May. The most near is in UK, for this year, Mother’s Day will be celebrated at April 3th. For UK people, you still have two weeks ahead to make any plan to celebrate it! 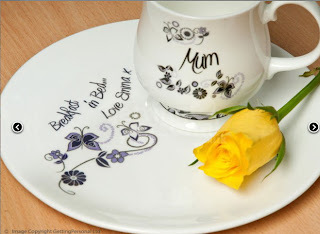 Approaching Mother’s Day, most people will busy to find the perfect Mothers Day gifts for their mothers. 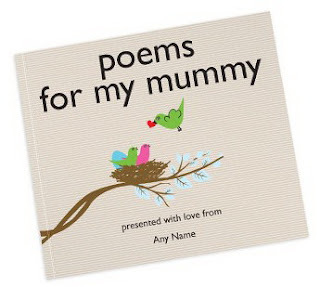 If my Mother is still with me, I want to give her a personalized Mother’s Day gift: a poems book that contain lovely words about Mothers and our names will be mentioned at the book. But in actual fact, all I can do is visiting her grave, putting her favorite flowers on it and sending prayers. So, have you already made any plan for upcoming Mother’s day?